The craft beer scene and rock music seem to go hand in hand. A few bars that we’ve been to for BeerTengoku, such as Thrash Zone in Yokohama, and Beer Cafe Bakujun is no exception It isn’t the easiest place to find though we heard the strains of Green Day’s American idiot punctuating the quiet Kyoto night. If it hadn’t been for the music, then we would never have found Beer Cafe Bakujun and would have spent the remainder of our evening getting more lost. The man on the right has some working knowledge of English. Beer Cafe Bakujun seems to be following the minimalist concrete design of hipster bars in Tokyo. The bar was half full at 11pm on a Friday night with about five of the ten seats at the bar talking and the atmosphere was relaxed and jovial. The bartenders were the centre of attention and were pouring out customers various beers that didn’t appear on the menu, such as Baeren’s Vintage Chocolate Stout and Sankt Gallen Orange Chocolate Stout for fun. One of the bartenders had a working knowledge of English and started up a conversation about Tokyo and Yokohama. Some good choices – especially the Baird Ganko Oyaji Barley Wine 2014. The beer selection at Beer Cafe Bakujun was dominated by Japanese craft beer with a couple of beers from over seas. The sticking point though is the prices. Beer cafe Bakujun is not the cheapest place in Kyoto but could be pushing for one of the most expensive. Beers come in two sizes, halfs at 284ml or US pint size at 473ml. Prices vary from beer to beer, with the cheapest being ¥756 for a half of Ise Kadoya Brown ale ranging up to ¥1512 for a US pint of Baird Ganko Oyaji Barley Wine 2014 which include tax. Moreover, the dreaded table charge pops up at ¥324 as well, so you end up paying ¥1000 for half a beer before you even get a sip. Coedo Beniaka – new recipe, didn’t really notice a change. Baird Ganko Oyaji Barley Wine 2014 – caramel and prunes. Delicious. We only managed to stay for two drinks as at these prices, it’s hard to justify staying for many. We had to have the Baird Ganko Oyaji Barley Wine 2014 and glad we did. The original malt notes had developed into flavours of prunes and caramel that were incredibly balanced. The customer next to use wanted to have a pint of the beer but both the bartender and myself warned against him. The Coedo Beniaka beer was brewed using the new recipe from Coedo though we didn’t detect much difference as we didn’t have the previous iteration to compare it against. Beer Cafe Bakujun is a relaxed bar that has some decent craft beers on tap. However, the prices of beer and food, along with a table charge, means a simple one or two beers and some snacks means a bill easily of ¥4,000 or more. Open: Irregularly from 17:30 to 02:00 (L.O 01:30) Check blog below for details. Beer Cafe Bakujun is between two stations: Kyoto Shiyakushumae and Karusamaoike so we plumped for the second. Make sure that you are looking at the road as the only indicator is a sign outside the staircase. Ganko Oyaji is great. 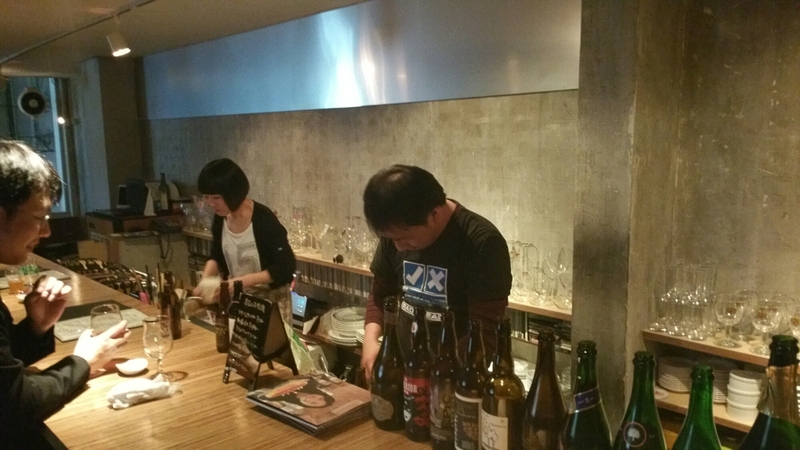 I had it at the Nakameguro taproom in early march for Bairds “Strong Beer Week”. If I remember correctly the vertical tasting of Ganko Oyaji 2013, 14, and 15 cost 1,000 yen and came with a free Baird bottle opener! 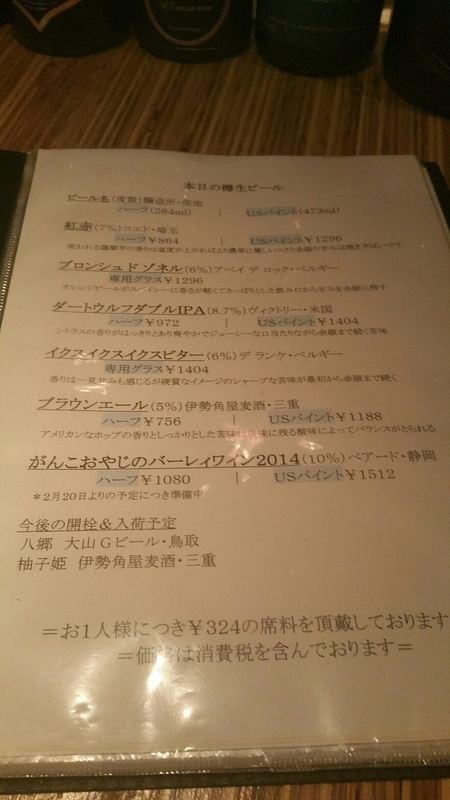 Hard to argue that price for 3 150ml pours of a 10-11% beer in Tokyo. Comparing the ’13 and ’15 side by side was really eye opening. That was a great deal and you’re spot on with the deal. The sweetness of the earlier Ganko Oyajis was brilliant as was the new version and its fruitiness. Get some bottles and let them age. Stopped by this place after visiting Takumiya and the contrast was amazing. The owner here seems to have an attitude problem and is not at all welcoming to foreigners (regardless of whether they speak Japanese). I personally will never return to this place. For a much friendlier (and reasonably priced) outing Takumiya and Komachi are the way to go. Have heard similar things about the bar from other people. It’s a shame that he is like that but best thing to do is not frequent it. Much preferred Bungalow and Komachi to here though and the staff there are a good laugh.